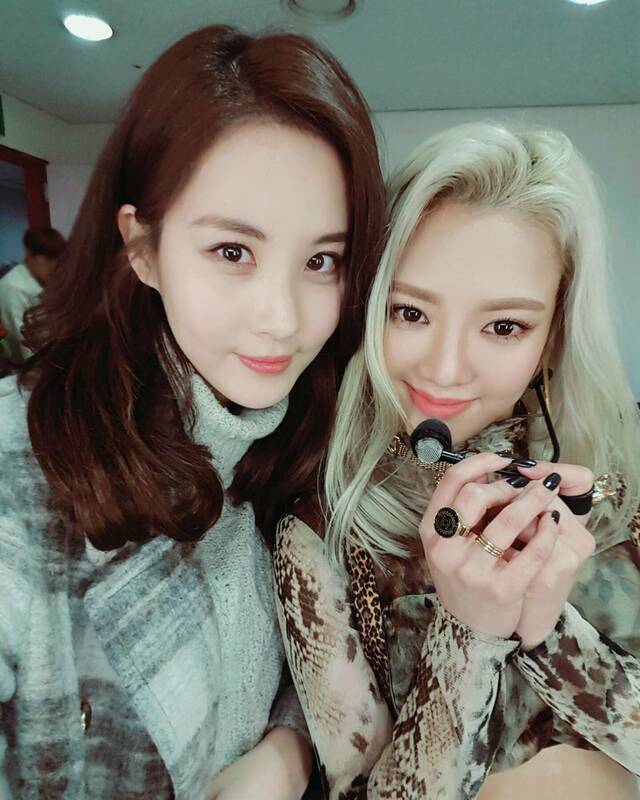 As expected, another SNSD member was out to support HyoYeon's solo debut! Very very cool stage that only unnie can express! !😗"
"#ProudofHyo #CoolHyo #LoveHyo #ExcitementSisters 🐾"
to cheer me on~~ #SeoJuhyunnieIsLove"
Yesterday, it was YoonA who came to support HyoYeon at Music Core.